Fillers are products that can be injected in or under the skin to fill up small to medium size wrinkles or decrease the depth of deep grooves in the face such as the nasolabial and Melo labial groove below the corners of the mouth. Fillers can also improve or augment contours of the face by filling in areas e.g. the cheekbone area, the temporal area, the cheeks and lips. If you want to improve the contours of your face, you can for example accentuate your cheekbones, or fill your cheeks and temples with fillers. These are products that are injected under your skin. Fillers are also used to reduce wrinkles or fill folds in your face. Basically there are two groups of fillers: body fillers and synthetic fillers. Synthetic fillers can be permanent or slowly disappear from the body. Botox can increase the effect of fillers, because it weakens the underlying muscles. During the first consultation, your wishes will be discussed in detail. Together with the doctor you will discuss which type of filler is suitable for you and what the effects will be. In this way, you will have a good picture and a realistic expectation about the final result. During your first consultation all possibilities to achieve your goals will be discussed. In some instances, there may be other options that can be used in combination with fillers. Botox may improve the results of fillers by first weakening the underlying muscles. The remaining wrinkles can then be filled with a filler. Sometimes the loss of volume and wrinkling can by so extensive that surgery may be a better option. Considering the aspects of all options will lead to a customized treatment plan and realistic expectations. In general, there are two kinds of fillers. Your own bodily substances can be used as a filler. In particular, fat is useful in lipofilling. Fat is aspirated from other areas with excess fat, processed and injected in areas of the face. These are surgical procedures that need to take place in an operating theatre. Synthetic fillers are off the shelf products that can be injected as an office procedure, some are permanent and some are temporary. The permanent fillers can sometimes produce palpable nodules that can be visible. These are very difficult to treat and these products are therefore less popular. Temporary fillers dissolve slowly and completely, making them very safe. The most commonly used temporary filler today is Hyaluronic Acid. Hyaluronic acid is one of the building blocks in our body. It is present in our joints for lubrication, in connective tissue and skin. It is a glucose building block and serves to keep the skin smooth and flexible by absorbing water. When hyaluronic acid is injected into the skin it will form sugar pillows that will attract and retain water. Volume can be added to improve contours, irregularities smoothen out and wrinkles can be filled. Because hyaluronic acid is also produced in our body, the chances of adverse reactions to a hyaluronic acid filler is extremely small. The effect of this filler will endure for nine months to a year after which it will completely disappear. 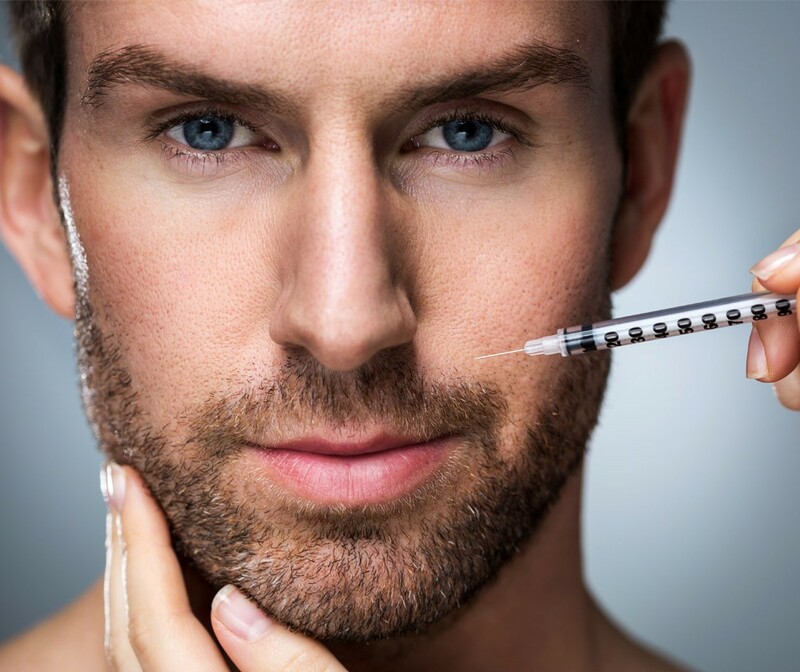 In the event that the filler is not producing the desired filling effect, an injection with the enzyme hyaluronidase can dissolve the hyaluronic acid completely within a couple of hours to a few days. This characteristic of hyaluronic acid makes it even more safe. Restylane was the first brand that brought hyaluronic acid onto the market over twenty years ago. At present, there are many brands available which produce hyaluronic acid. A treatment with hyaluronic acid can take place under local anesthetic or without. Many brands nowadays have the local anesthetic mixed with the product. The first injections will be felt, but when the area is injected further the anesthetic of the first injection will have numbed it. Depending on how much hyaluronic acid needs to be injected, the treatment lasts about fifteen minutes. Some redness at the injection site can occur and normally will disappear within thirty minutes. The injection itself can cause the areas treated to become a bit swollen making it look somewhat fuller. This additional swelling will soon settle, but, placing a cold compress on the area may expedite the process. The use of hyaluronic acid is effective in the hands of an experienced doctor and can produce attractive and natural results. Some people want more fillers than is necessary. When they fully understand the esthetic effect and the specific aim for this then it is their personal choice. It is therefore most important that during the first consultation the areas to be treated, the amount of filling required, and its effects are clearly discussed. In some instances, it may be wise to start conservatively and add filling when further enhancement is clearly desired. When overcorrection has occurred, the hyaluronic acid can be dissolved with hyaluronidase and will disappear quickly and completely. Sometimes a vessel is hit during an injection causing a small bruise. This will disappear in a couple of days. Applying a cold compress may be useful. In very rare instances the hyaluronic acid is accidentally injected into a vessel causing the circulation of an area to become compromised. This is normally immediately recognized. Injections with hyaluronidase should start as soon as possible to dissolve the hyaluronic acid to restore the circulation.